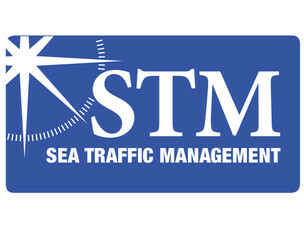 STM (Sea Traffic Management) Validation Project is the continuation of Monnalisa project. It connects and updates the maritime world in real time, with efficient information exchange. 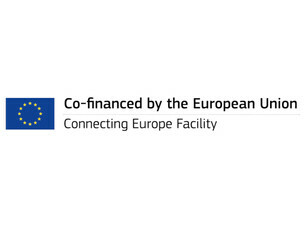 Through data exchange among selected parties such as ships, service providers and shipping companies, STM creates a new paradigm for maritime information sharing offering tomorrow´s digital infrastructure for shipping. 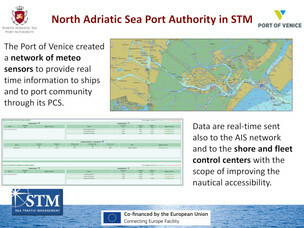 The Port of Venice, in STM validation project, integrates a network of meteo sensors to provide real time information to ships and to the port community through its PCS. The implemetation is tested with the support of Rimorchiatori Riuniti Panfido, that is the tug service company operating in the Port of Venice. 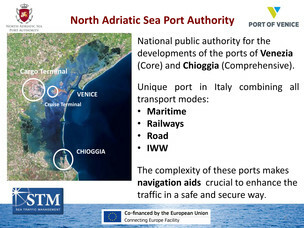 Data are sent in real-time also to the AIS network and to the shore and fleet control centers with the scope of improving the nautical accessibility.